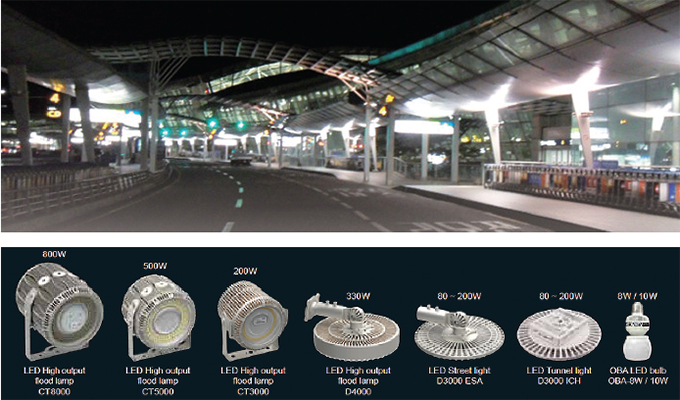 the world’s leading manufacturers of high output and ultra-lightweight LED lamps. ICEPIPE’s vision for high quality lamp began with an endeavor for better heat dissipation apparatus. ICEPIPE incorporates patented FDP (Fluid Dynamic Pressure) cooling technology to produce high output lamps with as low as 1/5 of weight and 1/4 of volume of conventional lamps. 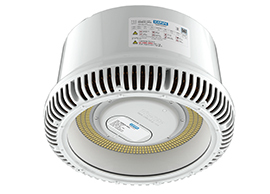 This highly efficient cooling solution significantly lowers the LED chip’s temperatures, which results in maximizing the lifespan, while minimizing maintenance costs, not to forget its better energy efficiency. As a result of the implementation of ICEPIPE heat sink technology for LED lamps, now ICEPIPE’s product lineup ranges from 8W household use LED bulb, OBA Omni LED bulb to 800W industrial use flood lamp, CT8000, etc. Adapting to fast-changing market trends, ICEPIPE constantly pushes the limits of R&D to pioneer next generation solutions. 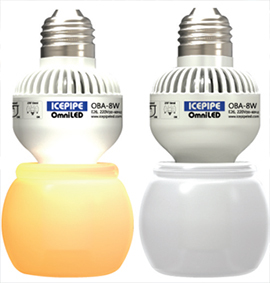 As a result of these efforts for the advancement of LED lamp technology, ICEPIPE recently added two new products to its product lineup, which are OBA Omni LED bulb and CR2000 multipurpose LED Lamp (High Bay, Canopy, and Recessed). OBA Omni LED bulb is designed for household use. Its high arc shape bulb design allows 270’ of omnidirectional beam angle. This omnidirectional, wide beam angle causes less glare to the human eyes. 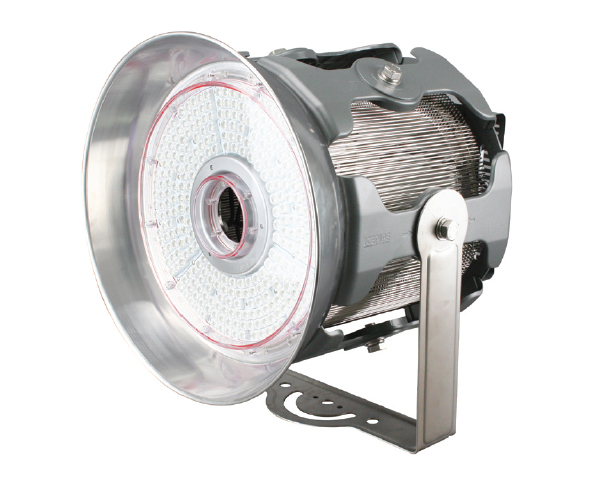 CR2000 is multipurpose LED lamp that has extensive application capability. CR2000 comes with an E39/40 screw base, which promotes easy application of CR2000. 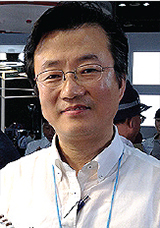 ICEPIPE has a more ambitious aim to advance into the global market beyond the rather confined Korean LED market. As an effort to realize this goal, ICEPIPE’s CR2000 has received CE and PSE certification, and soon it will receive ETL certification as well. On the other hand, OBA series will receive CE, PSE, and ETL certification once the development of more upgraded OBA2 gets done. ICEPIPE is also looking for talented young engineers from all over the world, to prepare for the future that ICEPIPE competes in the global market. ICEPIPE holds many distributors all over the world as well. ICEPIPE has been rewarded for number of prizes and awards for their effort. ICEPIPE’s CR2000 series won 2013 KES Innovation Award for the New Product category from Korea Electronic Association at the Electronic & IT Industry Fair, held at the KINTEX, Ilsan. CR2000’s winning of the award acknowledges its value and competency in the global market. ICEPIPE is the world’s first company to incorporate ICEPIPE HEATSINK and to develop high-efficiency, high power, and lightweight LED lamps. 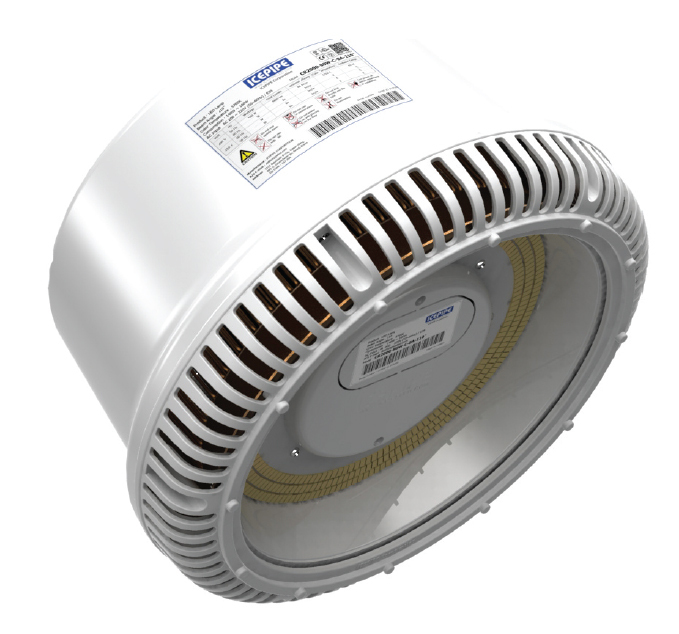 Especially, its over 700W of high power LED lamps are noted for their global competitiveness in terms of performance, reasonable prices. And efforts are being stepped up for the release of higher performance next-generation LED products that will be strong players in leading global markets. With the patented radiant heat system, ICEPIPE manufactures high-efficiency, lightweight LED lamps. 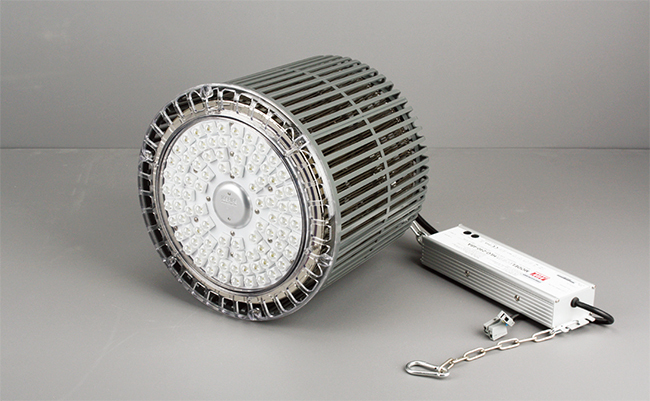 The system can significantly lower the temperature of LED chips, compared to that of general LED lamps, so it ensures over 10 years of lifespan. And they have superior price competiveness as they require small amounts of raw materials. There are three most competitive models. The socket type of CR2000 features convenience in installation and construction. The applied ICEPIPE HEATSINK technology enabled the realization of performance of 150W with accompanying features of the so-called the “world’s most minimized size and light weight (1.7kg). The price competitiveness is also ensured. The H3000 has 200 W capacity has a weight of 4.4kg to 6kg. It performs constant brightness for up to 50,000 hours with the help of high-quality parts from Philips, Meanwell. 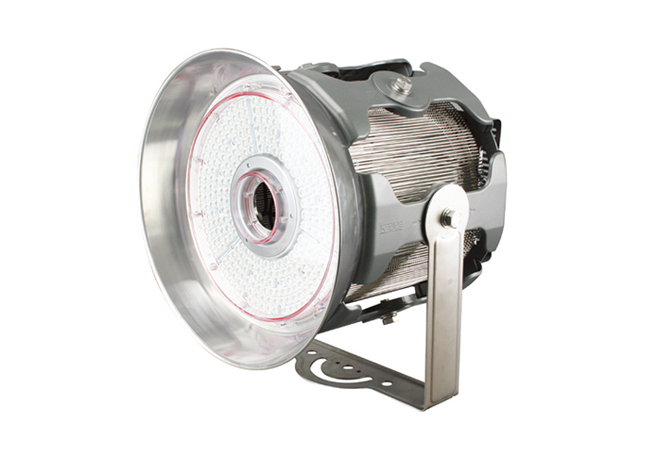 And another competitive model called “T7000 is a 700W LED lamp that can replace the existing metal halide lamps ranged 1.5kw to 2kw. It also employs the company’s world’s-first technology of ICEPIPE HEATSINK. So it shows globally competitive price competiveness with weight of 10kg, which is considered globally to be small size. They are installed at some famous international airports including Incheon International Airport, Malpensa Airport, etc., factories of Volvo Korea, etc., and underground vehicle roadways & tunnels.